Add all the remaining ingredients and shake until a frost forms on the outside of the shaker. 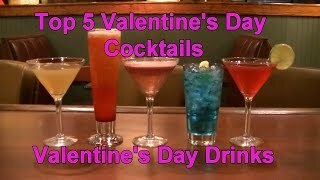 Double-strain into 2 chilled martini glasses. 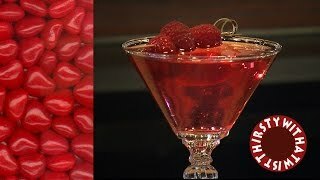 Decorate with the extra raspberries and a lime rind spiral on cocktail sticks and serve. 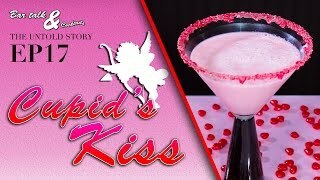 THE BEST VALENTINE VODKA COCKTAIL YOU'LL EVER MAKE - "CINNAMON KISS"